Mothers are so special to our hearts so we’re extending our Mom’s Day celebration until June! Yey!!! 1. Register at www.greatimage.com.ph/meetmynanay and Great Image will send you an email through your registered email address. 2. Print a copy of the email and visit their studio. Have a complete portrait session with your mom and get your 3R photo with the soft copy for only 20 pesos (instead of P220.00). 3. 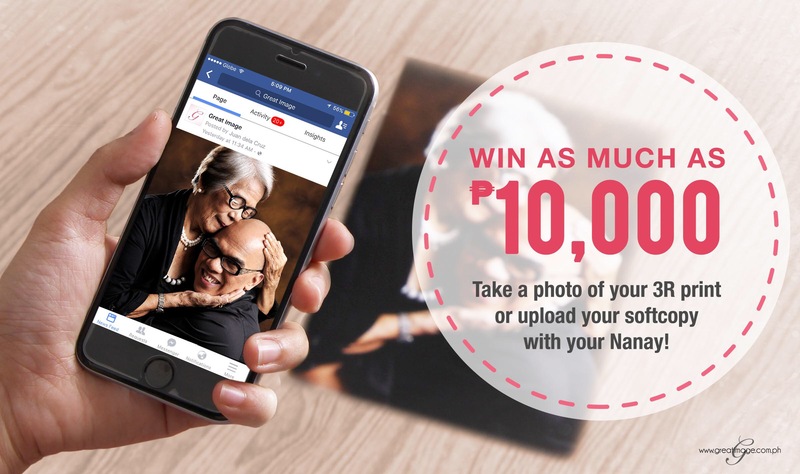 With your phone, take a picture of your 3R photo print or upload your soft copy at Great Image’s Facebook page and share your nanay’s story. 4. Tag @greatimageph and use the hashtag ‪#‎MeetMyNanay. This promo will be up from May 4, 2016 until May 31, 2016. Submission of entries will be on June 2, 2016. Join now Merries and make the whole world meet your beloved Nanay! This entry was posted in Events & Press Release, Family & Relationships, Treats & Sale Alerts.